life lessons from our multi-awesome family. The unique bond between mother and child. Every woman is unique and should be celebrated. Such a powerful and moving message. You can watch the ad here. Five products to make Mama’s life easier. The first time, I saw my Poopy Bear’s toothless smile, it warmed my heart like it no other. It was right when I thought I was going to tear my hair out because she had been crying for a while with no end in sight…THEN suddenly she stopped, looked up and smiled. Now, you can’t really say that a Mama’s life is easy…but it certainly is worth it! Here are a few products that are designed to save some time and tears (Mama’s tears, mostly)! Which ones did you use and would recommend? I’m actually looking forward to trying this one when we take our first family trip via air this Summer! 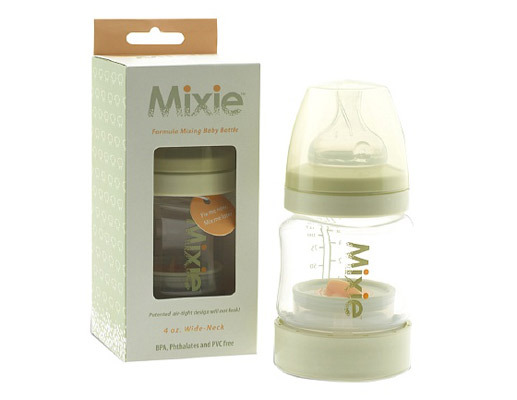 It allows you to put the formula and the water in the same bottle, but in different compartments, ahead of time. When your munchkin is ready for a meal, with one press of a button and a quick shake, the formula will be ready. How many times have you struggled to get baby out of the car seat and then into the stroller WITHOUT waking him/her? This Doona travel system promises to simplify that task by instantly folding from a car seat to a stroller. I love the sound of that. Poopy Bear recently learned how to use her sippy cup, except it almost always ends up on the floor. 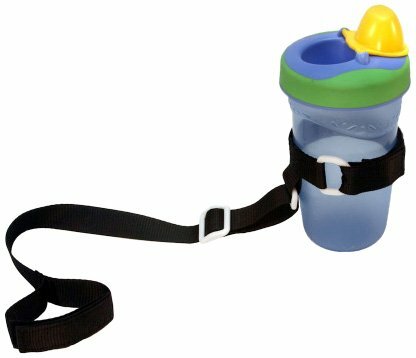 This harness promises to help you keep track your LO’s Sippy cup and prevents it from falling to the floor. It’s also adjustable so it fits other toys as well. Sweet deal. I have personally tried this one and LOVE it. 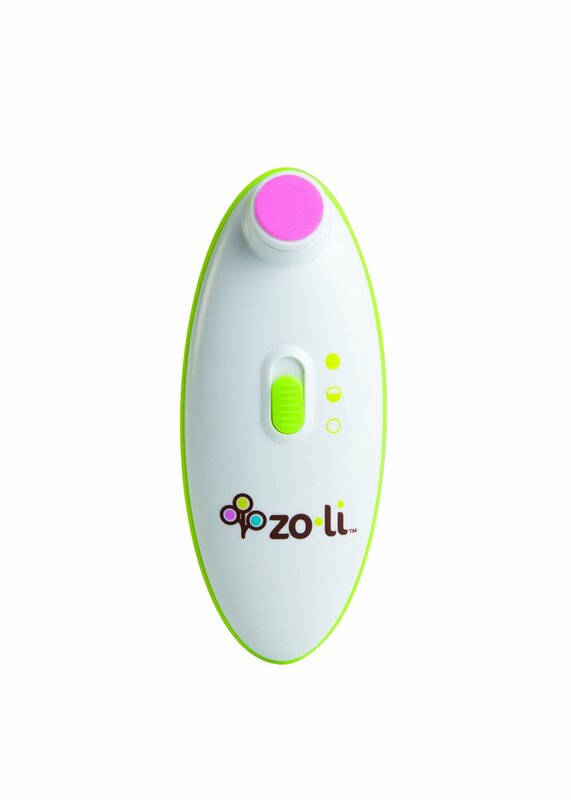 We mostly use it when traveling and instead of packing Poppy Bear’s meal in containers then messily spooning it out, this gadget eliminates the hassle. It’s convenient, one-hand feeding, one bite at a time. The silicone bulb can hold up to 3oz of food and with a simple squeeze dispenses the right amount into the spoon at the end. Easy to clean too! It seems as if I cut Poopy Bear’s nails everyday, okay every other day, much to her dismay. Even at her young age, she seems to be able to tell that one false move could cause an unpleasant situation. 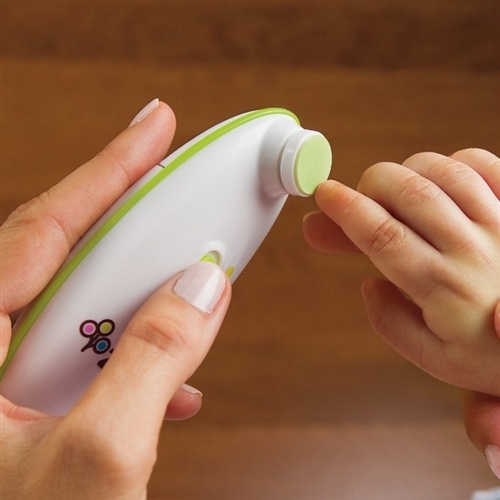 Buzz B is a battery operated nail trimmer with oscillating action and cushion pads that ensures a comfortable, pain free trimming process for newborns to toddlers (0-2years). It has 2 power settings and comes with 4 pads (2 for babies, 2 for toddlers) and cute case for travel and storage. Which other awesome gadgets would you add to the list to make a Mama’s life easier?